A polo shirt is a popular choice if you want a professional look combined with a good freedom of movement. 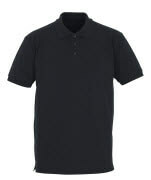 MASCOT carries an extensive assortment of work polo shirts that are suitable for trades in which the clothes must be robust and for the ones who work in an office or warehouse. Does your business have specific requirements for the colour, the fit or safety? 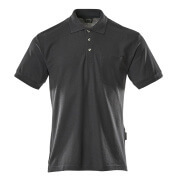 With MASCOT’s wide selection of work polo shirts, it is easy to find a polo that responds to the preferences of any employee. 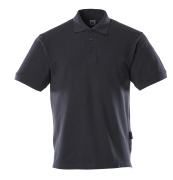 You can find work polo shirts with a ladies’ fit as well as a men’s fit of up to 24 different colours per style. If you wish a special colour for your business, please contact MASCOT and hear more about the possibility of placing a special order. 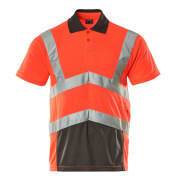 If you work in a profession in which you need additional visibility, you can also find a selection of work polo shirts in different fluorescent colours at MASCOT. 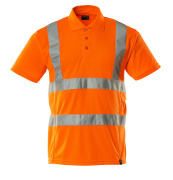 You can achieve a higher safety class with a hi-vis polo if you combine it with a pair of hi-vis trousers, shorts or 3/4 length trousers. 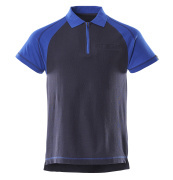 At MASCOT, comfort, fit and quality is paramount. 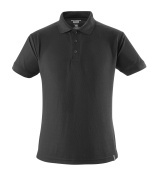 All of our work polo shirts are therefore produced in the best, quality tested fabric, so you get a polo that is both nice to wear and lasts for many years. 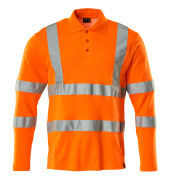 All workwear from our assortment is 'tested to work', which guarantees that fit, features and durability are tested both in a laboratory and at real workplaces. You can find work polo shirts of various fabric qualities according to your needs. 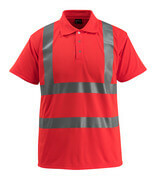 If you work within trades with a high level of activity, choose our work polo shirts with CoolDry. 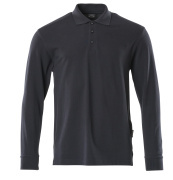 CoolDry is an extremely quick drying and moisture wicking material that ensures that you keep dry throughout an entire work day.